Windows 10 Start Menu Not Working? Here's How to Fix It! Is your Windows 10 Start Menu not working? The new Start Menu is much more dynamic and functional A Guide to the Windows 10 Start Menu A Guide to the Windows 10 Start Menu Windows 10 fixes the Start Menu dilemma! Getting to grips with the new Start Menu will supercharge your Windows 10 experience. With this handy guide, you'll be an expert in no time. Read More than its previous incarnations. However, the downside to these upgrades is that they offer more opportunities for things to go wrong. It can be very frustrating to find that your Start Menu isn’t working as it should. It’s not always easy to diagnose the problem, and solutions can sometimes be quite long-winded. That said, there are ways to remedy many common issues. If your Windows 10 Start Menu is on the blink, work your way through these solutions. With any luck, you’ll find a way to put things back to normal. This may sound simple, but it works. Before you try anything else, restart your computer Why Does Rebooting Your Computer Fix So Many Issues? Why Does Rebooting Your Computer Fix So Many Issues? "Have you tried rebooting?" It's technical advice that gets thrown around a lot, but there's a reason: it works. Not just for PCs, but a wide range of devices. We explain why. Read More and see whether the problem persists. The chances are that you’ll have to do a bit more legwork to get things fixed — but on the off chance, you might save yourself some time and effort. When your Start Menu isn’t working, the fault might be linked to the system processes it relies upon to function. To restart these processes, we need to right-click the taskbar and select Task Manager. In the Processes tab, search through the list until you find Windows Explorer. Then, right-click it and select Restart. If this doesn’t work, it’s worth restarting two other processes How to Handle Suspicious Windows Task Manager Processes How to Handle Suspicious Windows Task Manager Processes CTRL + ALT + DEL aka three-finger salute is the quickest way to add to your confusion. Sorting through Task Manager Processes, you may notice something like svchost.exe using 99% of your CPU. So now... Read More — Cortana and Search. Start Menu issues are not uncommon, and Microsoft is well aware. 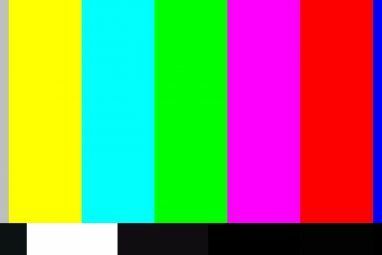 To that end, the company has released an official Start Menu troubleshooter utility intended to help users out. You can download the program here. The Start Menu troubleshooter really couldn’t be much easier to use. Once you’ve downloaded it, open it up and click the next button, and it will start a scan of your system. Once it’s done, restart your PC and hopefully your Start Menu woes Windows 10 Start Menu Issues? 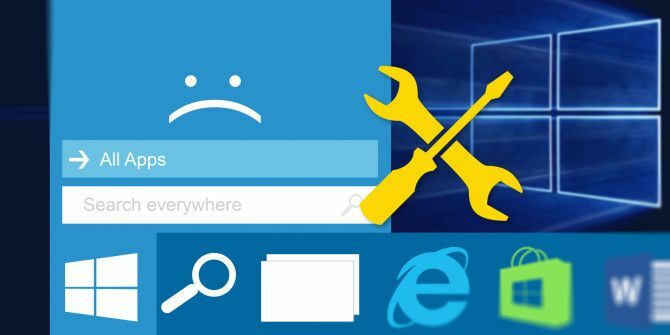 Try Microsoft's Free Fix Tool Windows 10 Start Menu Issues? Try Microsoft's Free Fix Tool Unfortunately, issues with the Start Menu in Windows 10 aren't uncommon. If you're having trouble, this free tool from Microsoft should fix you up. Read More will have come to an end. In some cases, it might just be one pinned element How to Pin Websites From Any Browser to the Windows Taskbar How to Pin Websites From Any Browser to the Windows Taskbar You can pin more than desktop programs to your taskbar. Here's how to pin any site for instant access. Read More on your Start Menu that isn’t working properly. If so, you might be able to fix the problem by removing it temporarily. Open the Start Menu and right-click the element that’s affected. Click Unpin from Start to remove it from the menu. Next, search for the app, right-click the desired result, and select Pin to Start. Before you give up and consider starting from scratch, do check whether corrupted files are the culprit by running the System File Checker utility. First, open the Command Prompt as an administrator: right-click the Start Menu button and select Command Prompt (Admin). Type “sfc /scannow” into the window and hit enter. Allow the scan to run — it may take some time — and restart your computer after it’s complete. This will fix most issues. Should SFC fail, you might have to apply more serious solutions to fix your potentially corrupted Windows installation How to Fix a Corrupted Windows 10 Installation How to Fix a Corrupted Windows 10 Installation System corruption is the worst that could happen to your Windows installation. 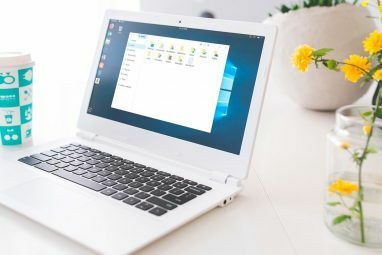 We show you how to get Windows 10 back on track when suffering from BSODs, driver errors, or other unexplained issues. Read More , such as DISM or an in-place upgrade. Windows 10 comes with a feature called Reset this PC. It allows you to reset Windows to its factory settings, but with the option to keep all your personal files. Press Windows key + I to launch the Settings app, then go to Update & security > Recovery and under Reset this PC click the Get started button. If the issue with the Start Menu appeared right after an update, you can also try to Go back to the previous version of Windows 10. Sometimes, the problems affecting your Start Menu might be confined to a single user account. 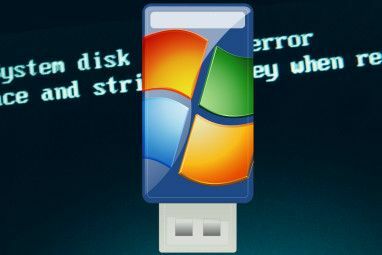 It’s a good idea to switch to another user account to see if the problem persists — consult the MakeUseOf guide on how to make a new user account 5 Tips for Managing Windows User Accounts Like a Pro 5 Tips for Managing Windows User Accounts Like a Pro Windows user accounts have evolved from isolated local accounts to online accounts with various privacy challenges. We help you sort out your accounts and find the settings that work for you. Read More if you haven’t already created a secondary profile. This solution won’t remedy the issue outright, but it’s better than nothing as a last resort. If your Start Menu is fine on another profile, you could migrate to a new account and simply start afresh. If your Windows 10 Start Menu still isn’t working, a fresh Windows installation 4 Ways to Reset Windows 10 and Reinstall From Scratch 4 Ways to Reset Windows 10 and Reinstall From Scratch Windows 10 is still Windows, meaning it will need a fresh start every once in a while. We show you how you can get a fresh Windows 10 installation with as little effort as possible. Read More remains the best way to fix any issues with the operating system. Hopefully, one of the other, simpler fixes worked for you. Do you know another fix for Start Menu troubles? Or are you looking for more help after exhausting these methods? Either way, you can join the conversation with your fellow readers in the comments section below! fresh start newer works for me always when done that after some time using computer my start menu becomes unavailable.